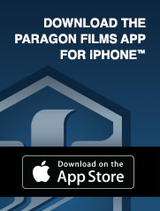 Paragon is one of the industry’s premier manufacturers of premium quality stretch film products. Continuing commitments to leading-edge technology, service and support have firmly established Paragon as a highly respected resource across the United States and around the world. 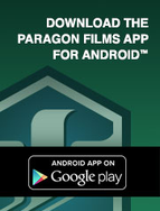 Paragon believes employees are the greatest asset and are dedicated to bringing talented individuals into that family. Candidates for employment successfully must complete the application process, interview and background check prior to being offered a position within Paragon. The background screening includes a criminal history, application information verification and personal reference check. Following an employment offer, all candidates must pass a pre-employment physical and drug screen. Each employee has a ninety day orientation period. Benefits become effective the 61st day of employment and include: medical, dental, life insurance, accidental death and dismemberment, short and long term disability, tuition reimbursement and a unique bonus program. Paid vacation is offered immediately to exempt employees and after six months to non-exempt employees. Following six months of service, employee’s become eligible to participate in the 401(k) plan, in which the company matches 100% of the first 3% of contribution. Highly competitive wages completes Paragon’s total compensation package.